Recently I gave a brief class for the residents of an ISKCON center, during their daily morning spiritual programme. The topic of my class was the nine stages of development in Bhakti-Yoga and how to make sure and steady progress towards the goal: Krishna Prema. When I received feedback about this class, I came to realize the significance of “generation gaps” between people who enter ISKCON at different eras. The Newborn Era – Prabhupāda is directly accessible to the few dozen devotees who were newly forming around him. Chanting with him and learning from him is the main focus. The Childhood Era (c.1970 ~ 73) – Prabhupāda establishes people to lead on his behalf, under his oversight. Kīrtan in the streets is the main focus. 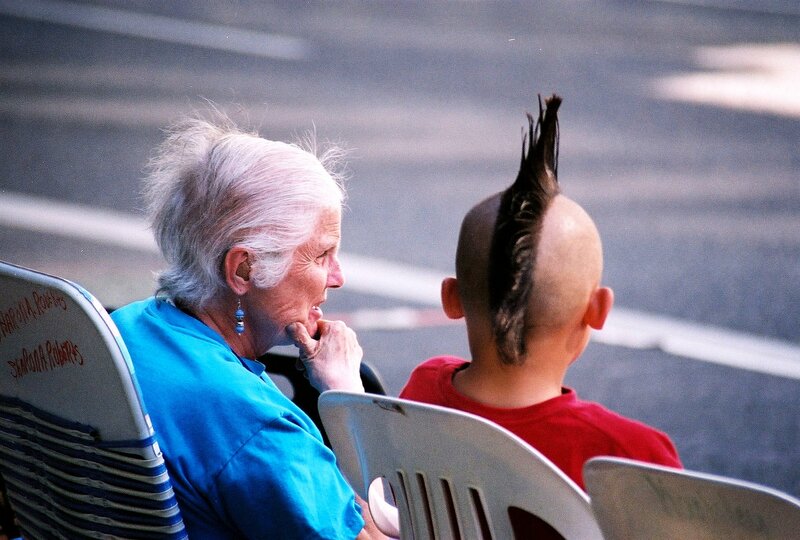 The Era of Adolescence (’73 ~ ’77) – Society becomes huge. Aggressive book distribution becomes the focus. Adult(eration) Era (’78 ~ ’86) – Prabhupāda departs, others take over the position of guru, primarily with disastrous outcomes. Making money becomes the focus. Midlife Crisis (’87 ~ ’90) – Attempts at reform and self-improvement, amidst the aftermath of the previous era. Reconstruction is the focus. The Era of Higher Education (’91 ~ ’98) – Emphasis begins to fall on thorough study of śāstra and deeper commitment to and understanding of sādhana. Spiritual and philosophical education becomes the focus. The Era of Diversification (’99 ~ present) – Broader definitions of what it means to be a “devotee.” ISKCON itself starts to develop capacity for fostering diverse viewpoints, and splinters of ISKCON become plentiful and begin offering diverse attitudes and approaches to Gauḍīya Vaiṣṇavism. When almost all the gurus proved unreliable, it made us search for the flaw in our attitude towards them. Thus the later eras started to see śāstra as the ultimate authority, and came to view guru as the key figure whose merciful guidance and instruction helps us deeply and clearly understand śāstra, and the practices and precepts revealed therein. When I gave my class on the 9 stages of progress in Bhakti Yoga, one person in attendance was a devotee from the older generation, who had been absent from ISKCON during the 5th, 6th, and 7th eras and had returned to an important role in the society in recent years – making him a particularly extreme example of “generation gap” since he is someone from the older generation who did not participate in the gradual evolution that lead to many of the contemporary outlooks. I will take the opportunity to clarify a few doubts he expressed in my class. He felt that concentrating on one’s progress in Bhakti Yoga, and on ones spiritual practices, was antithetical to the mood of surrendering to guru. This is a false dichotomy because the bonafide guru primarily directs one to concentrate on your spiritual practices and make careful progress in Bhakti Yoga. II – Kṛpa-Siddhi or “Self-Discovery”? He felt that the results of bhakti come by the blessings of the guru, not by efforts to understand Gauḍīya philosophy and apply oneself carefully to Gauḍīya practices. This is also a false dichotomy because the “blessings of guru” literally are the philosophy they communicate to us, and the practices they reveal and direct us in. If this were not the case, why did all our Gauḍīya gurus, including Śrīla Prabhupāda, write so many books and put so much emphasis on kīrtan and fundamental spiritual practices like chanting a significant set number of “rounds” of mantra every day? Bhakti Rasamrita Sindhu (Nectar of Devotion) reveals that kṛpā is always the key to success in Bhakti, but that we obtain kṛpā as a result of our efforts to appreciate and value it. In other words, we obtain mercy as a result of our practice (sādhana). To obtain perfection by mercy alone, neglecting philosophy and practice is, they say, exceedingly, exceedingly, exceedingly rare. III – Sādhana is Rāgānugā. Book Distribution is Vaidhi. This is completely wrong. Bhakti Rasamrita Sindhu very clearly defines that there are two types of sādhana. Both of them follow the rules and regulations of the spiritual practices, but one of them (rāgānugā) does so out of a specific desire to attain a specific type of love for Krishna. “Services” (like managing a temple, or selling a book, etc) are mostly karma-miśra-bhakti-yoga, or, for advanced practitioners could be either vaidhi or rāgānugā sādhana, depending on their motivation and realization of the individual. Previously ISKCON defined the “guru” as the person who runs every aspect of your life. Now, ISKCON is beginning to understand that the guru is a person who reveals Krishna to you and gives you the opportunity to attain Him through Krishna prema. As such a guru may or may not be involved in many or a few details of your personal life. With the previous idea of guru it would be very hard to understand how there could be many gurus. How could you follow many “ultimate masters” at the same time!?!? How could you have many husbands, so to speak!?!? But with the correct understanding of guru, it is easy to understand why śāstra describes that there are many gurus, some who are inspirations, some who start us off in the right direction, some who teach us different aspects of philosophy and practice, and one who grants us a mantra and tilak and official acceptance into a specific branch of the family of spiritual practitioners. Next How many “factors of action” are there again??? Do you think this generational gap is backed into the culture of ISKCON, and that as such it will be a long-term issue that will further alienate fresh newcomers from engaging much with ISKCON unless the culture itself is changed? The reason I think it’s baked in is because there is an overwhelming emphasis on “senior devotees” being in charge while the less senior or “neophyte” devotees are expected to submit. These “senior devotees” are senior by virtue by age and sometimes by the “amount of service” they have rendered, but not by having actually advanced in Krishna consciousness. The Vaishnava society is very meticulously structured, where the juniors always respect seniors and juniors always receive affection and blessings from the seniors. There are considerations of seniority according to initiation among Godbrothers. Devotees who have received initiation earlier are considered senior. The Guru’s Godbrothers should be respected as the guru. whom he feels at ease with and seek his assistance/advice to adjust the situation. I think what will happen – as time goes on, people from older generations will disappear, and the influence of the attitudes of those older generations will therefore also disappear.